Join us for a very special meditative adventure to Costa Rica, home of eco-tourism in the Americas, led by Joel and Michelle Levey. The founders of Wisdom at Work—Joel and Michelle are pioneers in the contemplative sciences and mindfulness movement, and long-time students, practitioners, and teachers in a variety of wisdom traditions. For the past 22 years they have also been stewarding a tropical, organic permaculture farm and sanctuary. The Leveys will weave a wealth of insights and meditations inspired by their Nautilus Award winning book, Living in Balance: A Mindful Guide for Thriving in a Complex World into this eco-adventure. We believe that to travel responsibly, a portion of our tour cost should benefit the communities we visit. For this trip, our donation will go to a non-profit organization that is having a very positive impact in Costa Rica: CORCOVADO FOUNDATION—whose mission is to protect wild areas, promote environmental education, sustainable tourism and community participation through the sustainable use of natural resources in the South Pacific area of Costa Rica. 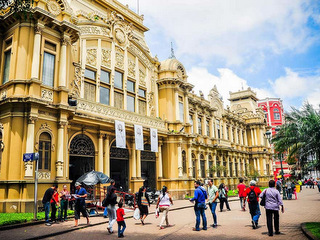 Upon your arrival in San Jose, you’ll be met by your guide and transferred to the hotel for overnight. 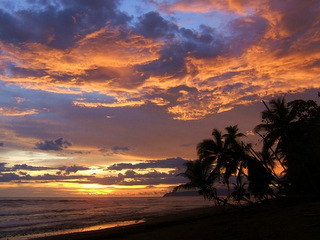 Each day while in Costa Rica, there will be time for the group to meditate and reflect together. Time and arrival time dependent, there may be a group gathering at the hotel this evening. This morning, transfer to the Arenal area with a stop en route at the 3800 acre Organization for Tropical Studies field station at La Selva in Sarapiqui, one of the premier rain forest research stations in the world. 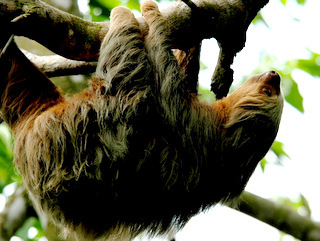 La Selva teems with wildlife and while here, you can easily see monkeys, toucans, sloths, poison dart frogs, green iguanas, peccaries, morpho butterflies and many bird species. After our time in La Selva, transfer to our lodge in Arenal National Park. 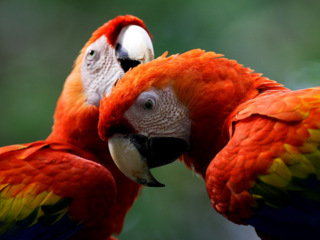 Our lodge is a renowned destination for bird watching in Costa Rica, with more than 500 species of birds noted so far. 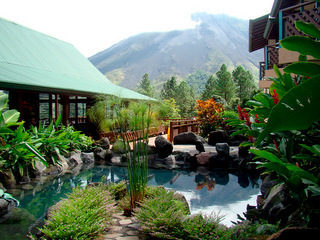 Rest of the afternoon and evening for meditation, reflection and exploration of this idyllic property set against the backdrop of Arenal Volcano. This morning explore the lodge gardens and trails with our guide. 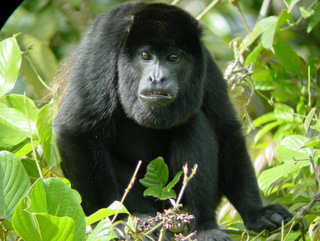 Howler monkeys call from the forest and the rich volcanic soil supports primary and secondary rainforest teeming with butterflies, mammals, reptiles and 400 species of birds. In the afternoon enjoy a tram ride up a mountain and then spend the next couple of hours ziplining down! 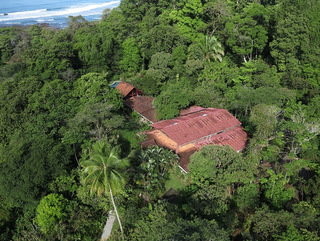 On your way down, experience the rainforest from a bird’s-eye view. End the day with a visit to a family-run hotsprings, with volcanically heated pools. The subtle landscaping includes regenerating forest and attractive tropical plants. Enjoy dinner at the restaurant on site. This morning, explore hanging bridges and trails through the verdant, bio-diverse rain forest. If you’re lucky, see toucans, poison dart frogs, howling, spider and white-faced capuchin monkeys. Afternoon visit to a local organic farm where you will experience life in the Costa Rican countryside. Learn about the farm and the crops grown here, and enjoy a traditional lunch featuring freshly harvested vegetables. After dinner join our guide for an amazing experience around the lodge gardens where you may spot nocturnal animals like frogs, bats, spiders and others. Leave the rainforest behind this morning and head for our jungle lodge. Located on the southern Pacific Coast, fronted by a pristine, coconut palm-lined beach, our lodge is situated on a private 800-acre nature reserve and tropical fruit orchard. 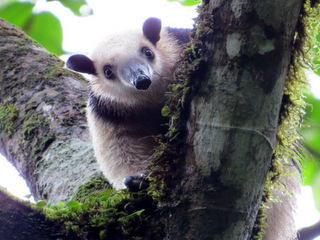 The reserve protects primary and secondary tropical rainforest and is home to plenty of wildlife, with over 275 species of birds recorded and a myriad of other animals. Rest of the day at leisure to enjoy the stunning beauty of this private reserve. 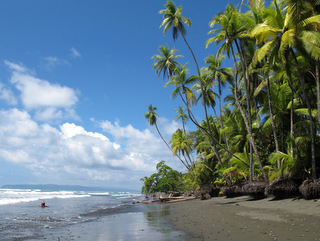 Take a walk to the black sand beach nearby and enjoy the coconut palm and beach almond trees. If time permits, unwind during the afternoon yoga class on the open-air deck. Explore the lodge’s Private Biological Reserve today, featuring an extensive trail system. Many animal and plant species thrive here, including endangered species like the Central American squirrel monkey and granular poison-dart frog. Late afternoon a special guest will meet the group for a talk about the Scarlet Macaw Reintroduction Program. Many secretive creatures like kinkajous, many owls, pacas, armadillos, and porcupines are active only after dusk. At night, these animals come out to forage and mate. Tree frogs are active, insects and arachnids lurk around, while bio-luminescent mushrooms glow eerily in the dark. Tonight join our guide as you look for these nocturnal creatures nearby the lodge grounds. Explore the lodge’s organic orchard, containing over 125 types of tropical fruit from Costa Rica and around the world, such as mango, starfruit, papaya, passion fruit, pineapple, banana and guava. Less widely known types of tropical fruit found are jackfruit, mangosteen, and South American sapote. Afternoon free for other activities like a walk on the beach, a leisurely walk along the trails or time to relax and enjoy your surroundings. Continue our exploration of the jungle nightlife tonight. Head to the jungle frog pools, where, with a bit of luck, the red-eyed tree frog can be spotted. Today fly back to San Jose. Upon arrival, transfer to our hotel in San Jose. Afternoon at leisure to explore the gardens surrounding the hotel or relax and reflect on your amazing trip to Costa Rica. Say goodbye to the friendly people of Costa Rica. Transfer to the airport for your flight home.